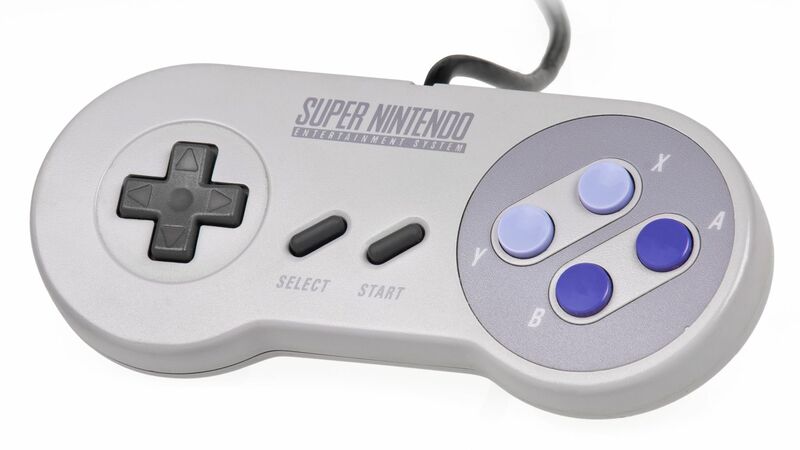 The Super Nintendo Entertainment System has several buttons. Modern scientists estimate it has as many as seven to ten buttons. However, one has to wonder: Which button is best? Until now, no one would tell you. Everyone would dodge the question. Fortunately, I’m here to settle the issue in my definitive list of every SNES button from worst to best, and – presumably – win a Pulitzer for doing so. I’m sure we all saw this coming. There was no way around it. It’s not quite SELECT’s fault. It’s just that no one seems to have any idea what to do with it. If it has any function at all in any given game, it’s probably not something you need to access with any great frequency. The name makes it sound like a critical menu navigator, but that role is constantly filled by another. I’d say SELECT is always a bridesmaid, but it’s more like the happy couple forgets to invite it to the wedding at all half the time. I can’t imagine many kids used this. I think I did, but I can’t be sure. It doesn’t matter, as I’m the type of person who waits to “safely” eject USB drives. I don’t represent Real America. This is a button of frustration. No one uses this button when times are good. I wrote a whole rough draft of this post before remembering that these buttons even existed. I gave poor SELECT demerits for being underused, but at least I didn’t forget it was there. L & R seem just as underused in my (somewhat limited) experience, but they get points for being so influential. Shoulder buttons are a vital part of today’s video game button landscape, and it’s the Super Nintendo’s L & R that got that ball rolling. I’m just the right age to have received computer classes when old people acted really befuddled about the Windows 95 operating system. “You have to go to START to SHUT DOWN!” my teacher exclaimed. “I know! It’s crazy!” I didn’t think it was crazy. There’s a similar thing happening with the fact that START on the SNES so frequently pauses the game. There were no classes teaching how to use the SNES at my school (much to our detriment as students), so I didn’t hear anyone treat that irony with entirely too much gravity. The D-pad is the home of movement on the SNES. Imagine where you’d be without movement. Let the sickening fear of paralysis settle in. You should appreciate the D-pad now. It’s a well-made and responsive one, which can be harder to appreciate than the thing about not being paralyzed forever. Once you experience a bad D-pad on some off-brand one-game portable, you treasure what the SNES does right. Receives demerits since it can kinda hurt if you gotta do some intensive maneuvers. Without the Power button, none of the other buttons would ever get used. It serves a vital purpose, but remains very dull in and of itself. B is one of the most diverse buttons discussed thusfar. Services it’s frequently called upon to do include going back in menus, providing precious forgiveness for mistakes. It is also often the trigger for your “attack,” which could be a sword, ray gun – even a sword that shoots rays like a gun. These sibling buttons are what makes the Super Nintendo Super. Them and the shoulder buttons and the technical specifications of the console and some other things. But X and Y and the color purple are some of the first things I think of, personally. With these as options, developers can create exponentially deeper and more complex control schemes (which is not always a good thing, but let’s not blame X and Y for that). In most games, A is not as flashy as B. While B is firing off magical sword-shooting rifles, A might be assigned to a hop. This might be the platformer-lover in me, but I think hopping can be just as exhilarating. Making perfectly-timed leaps across colorful 16-bit landscapes is my idea of a good time. Add on top of that y-axis freedom the fact that A is the button of yes. A is what lets me agree to take up that ray sword and take my journey in the first place. Without A, there are no heroes in the land. For these ill-researched reasons, A is the best of all buttons. I would like to thank the Pulitzer juries for their consideration. Nathan Cranor is the writer of Rate Every Animal, a website where he rates every animal. I honestly don’t know if this might be a EU/US things, but in most platformers I’ve played on SNES, B is jump and X is shoot. A does seem to be the go-to “choose” button in many RPGs. I can’t really think of a single game where A means jump on SNES. B is definitely the best SNES button and X is a close second. Yup, B is usually jump. It is in Super Mario World, Mega Man X, Super Metroid etc. But Y is the attack button in the first two, A in the last one. That way you can easily cover both at the same time using your thumb, even as a kid.